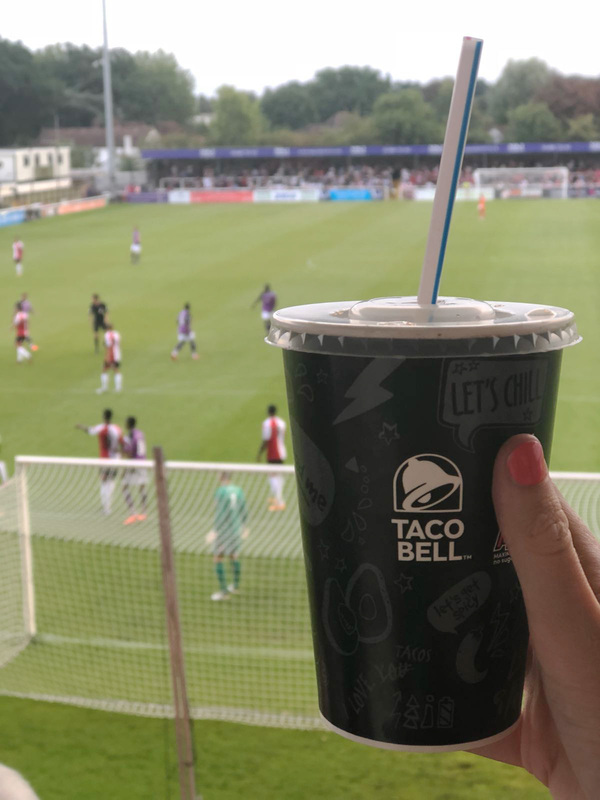 Woking Football Club | News | Win with Taco Bell on Saturday! Win with Taco Bell on Saturday! Taco Bell Woking is coming home on Saturday 11th August! They are bringing 20% off discount AND the chance to win Taco Bell for a year! T&C’s apply. All season ticket holders' stubs will be collected on the gate and entered into a draw, with the winner receiving Taco Bell for a year! Competition only open to those over 16. So make sure you come down to the match against Oxford City on Saturday, with the Cards looking to make it three wins out of three, and you could also be a winner thanks to Taco Bell!